If it's not Baroque, don't fix it. 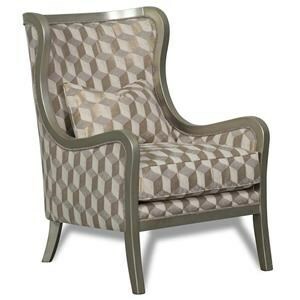 This formal chair elevates the status of any room with its sumptuous detailing, graceful curves, and inviting comfort. The Carlotta Parchment Chair by Aria Designs at Great American Home Store in the Memphis, TN, Southaven, MS area. Product availability may vary. Contact us for the most current availability on this product. This lavish collection adds glamour and vintage charm to any home. 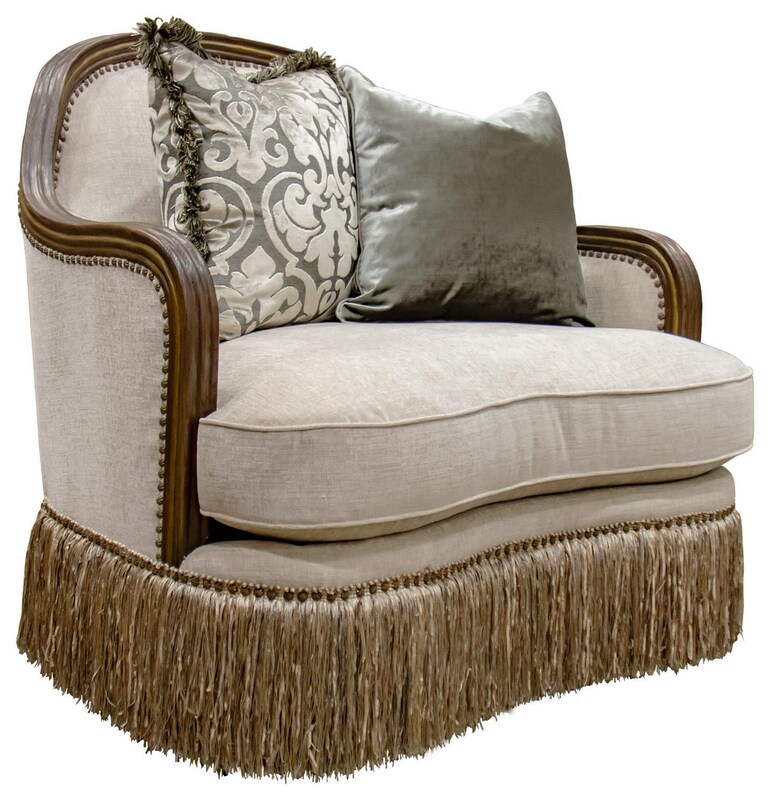 Elevate a den, living room, or parlor with these ornate pieces featuring exposed wood trim and starburst nailheads, complemented richly by golden fringe for an extra touch of opulence. The Carlotta collection is a great option if you are looking for Glam Traditional Glam Traditional furniture in the Memphis, TN, Southaven, MS area. Browse other items in the Carlotta collection from Great American Home Store in the Memphis, TN, Southaven, MS area.